The Republic of Korea Air Force (ROKAF) has taken delivery of its first Airbus A330 Multi-Role Tanker Transport (MRTT) aircraft. The New-Generation A330 MRTT extends the endurance and range of the ROKAF’s Fighter Aircraft, and provides the service with strategic transport capability for passengers and freight. In South Korean Service the A330 MRTT will be powered by Rolls-Royce Trent 700 Engines, be equipped with the Airbus Refuelling Boom System, and can be configured in a variety of layouts to carry passengers and freight or for Medevac purposes. Recently, Airbus Defence and Space has received a firm order from the French Defence Procurement Agency (DGA) for a further three A330 MRTT Multi-Role Tanker Transport Aircraft. The aircraft, known as Phénix in French Service, constitute the third and final tranche of the multi-year contract for 12 A330 MRTTs signed by the French Ministry of Defence in 2014. The first of the fleet was formally handed over in October and the remainder will be delivered by the end of 2023 under an accelerated timescale requested by France. In French Service, the A330 MRTT will be powered by Rolls-Royce Trent 700 Engines and equipped with a combination of the Airbus Refuelling Boom System and Underwing Hose-and-Drogue Refuelling Pods. The aircraft can be configured in a variety of layouts carrying up to 272 passengers as well as Medevac arrangements, including the French MORPHEE Intensive Care Module carrying up to ten patients as well as 88 passengers. 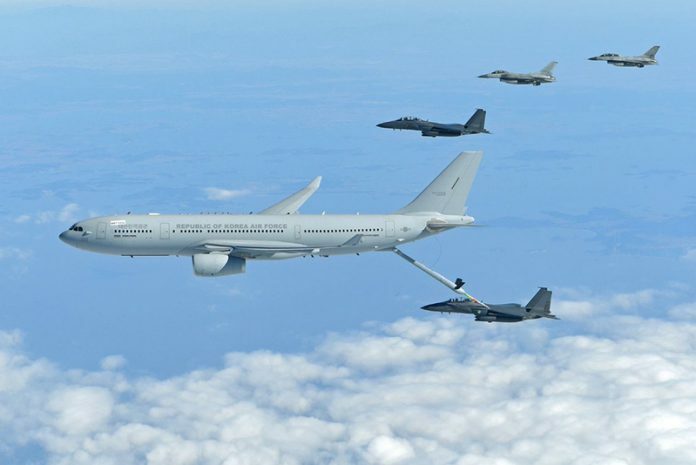 The combat-proven A330 MRTT has been ordered by 12 Nations, which have now placed firm orders for 60 aircraft, of which 35 have been delivered.